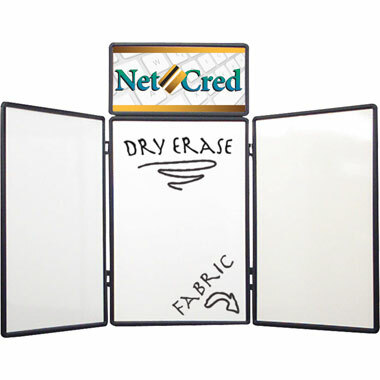 A tri-fold tabletop display with Dry Erase™ whiteboard on one side and Velcro®-receptive fabric on the other – available in three colors. 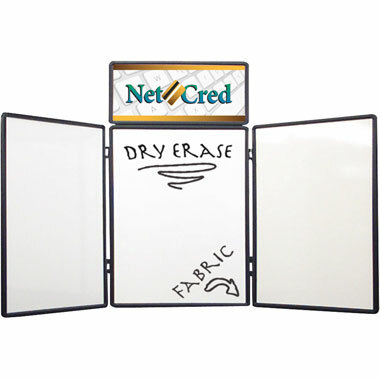 48″ wide folding tabletop display with whiteboard / fabric sides. 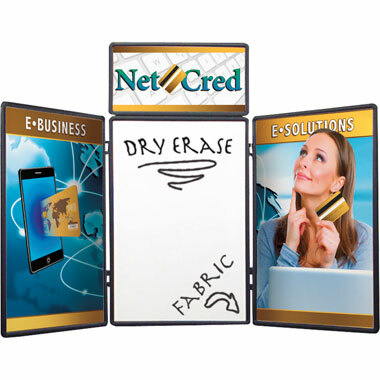 72″ wide folding tabletop display with whiteboard / fabric sides. Includes a printed detachable header graphic. 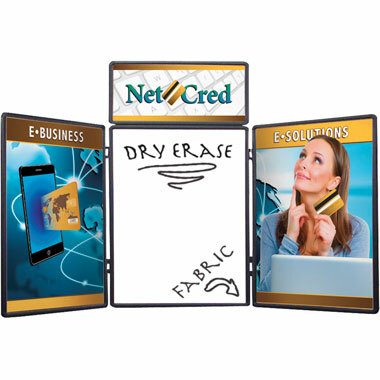 Includes printed header and main body panel detachable graphics. Available in two sizes and two printing options.